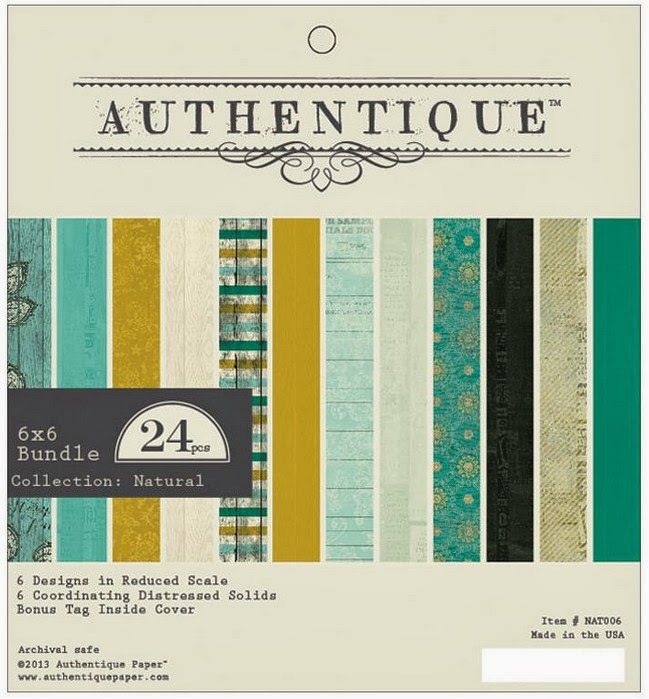 I love the distressed look of these papers and the gorgeous color combo. These papers are super fantastic and so versatile. You can use them for masculine or feminine projects. I'm not usually into 6x6 but I HAD to have these. And what might you do with 6x6 papers....make cards of course. Since it was my Step father's birthday I wanted to make him a hand made card. Although I'm not a big card maker, there is something to be said about the time and thoughtfulness that goes into a hand made card. Sooo...I really try hard to make hand made cards for all my family. I loved the ruggedness of this stamp that I picked up from the Heirloom stamp show. The best part about using a stamp is that you can make the image coordinate to whatever paper that you want!!! I colored the stamp using various colors of Timmy Distress Ink and a water pen. You can see a complete list of the colors below. I used the idea-ology mini fasteners to add just a touch of bling. The title is cut from some of the back of the scrap paper using my Silhouette Cameo. This next card was made for my girlfriend at work and her family who suffered a very big loss this year. 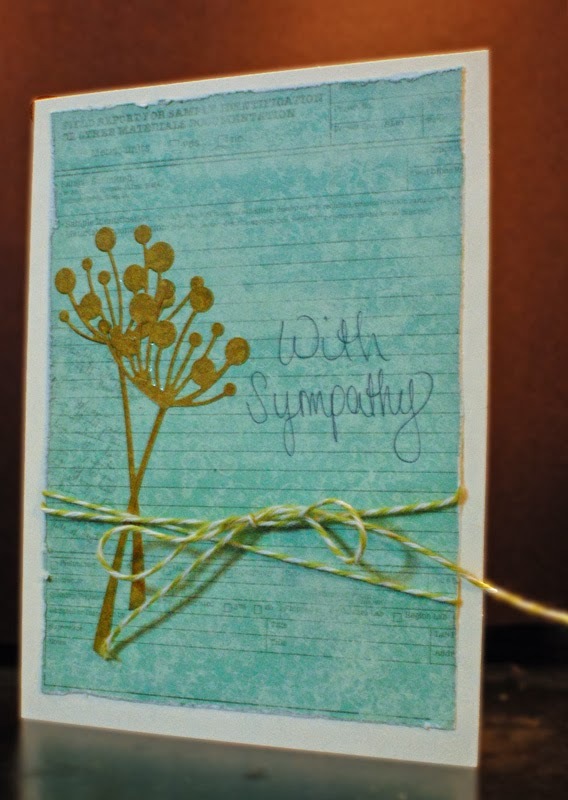 The notebook paper was perfect and I love the way it coordinated with the mustard color paper which I used for my die cuts. The twine is a gorgeous honeydew green and the writing is a Tim Holtz Distress marker in Chipped Sapphire. Store the markers on their sides. It helps to prevent them from drying out. I hope you decide to indulge in this paper line as it is FABULOUS!!!!! I am in LOVE with those papers, too, and your cards are Wonderful! BOTH are Super! Gorgeous cards! 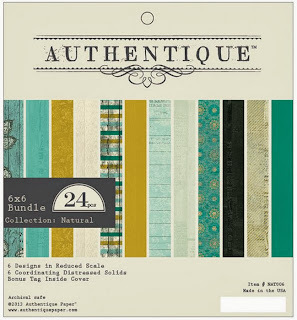 Love the Authentique paper! Your cards are wonderful and so thoughtful. 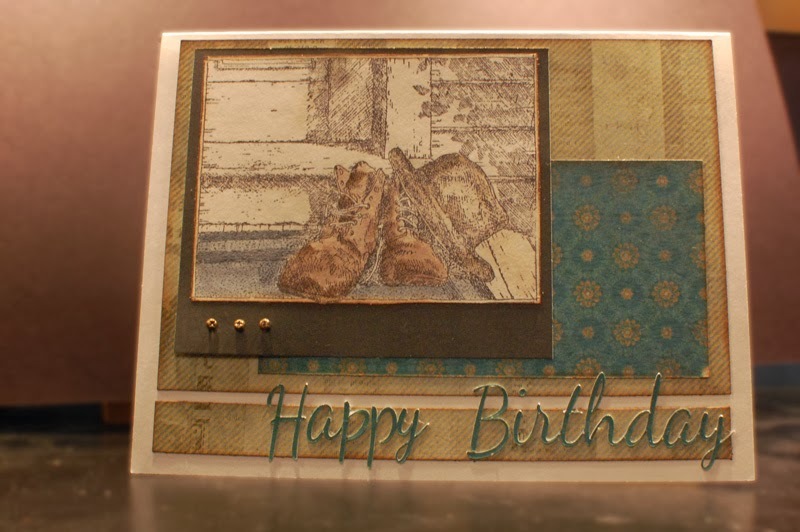 Love how you just colored the shoes to tie in with the rest of the card and the second one, well LOVE that one. Great cards!!!! !